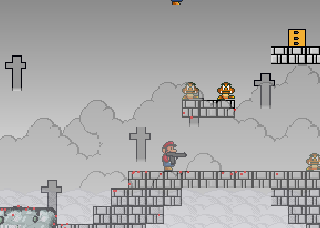 A little, old, quickly done, gore stupid and quite funny mario shooter. It's too easy, too short, and glitchy. And no, this does not 'affraid' me. Yeah I know its bad. If you know it's bad, why did you release it? Do you plan to update it? If you know it's bad, why did you release it? For the lulz and reference. Is it POSSIBLE to kill Bowser?